How was your Easter weekend? We had a great Spring break, spent time with friends, enjoyed the beautiful weather, and did some outlet mall shopping. The fresh air has brought about a few changes in and around the house, especially the garden. 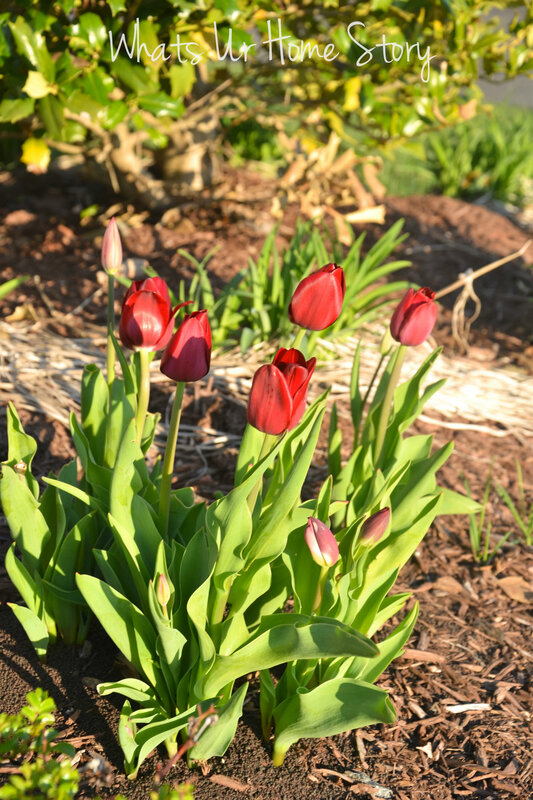 We had our first blooms of the year, the Costco tulips that I planted in the Fall. Just popping in a reminder for those of you who haven’t entered the $50 Safeway gift card giveaway, it is open till the 28th! Notice the black beads kinda dirt below the plants? That is Milorganite. As soon as the plants popped out I noticed that the bunnies had chewed off almost all the leaves. A dusting of Milorganite at the roots and all my plants are safe now. Granted it stinks but works like a charm! 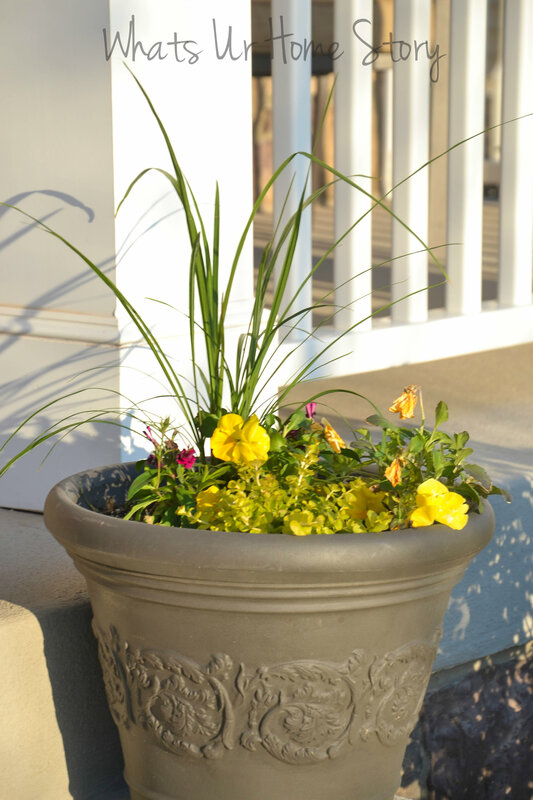 Also showing some new life are the front porch planters. The best part though is out back under the deck. Yes, the robins are back, same place, same time but with a new nest. The old nest had fallen off and I had used it as a prop for my Easter eggs. There are eggs too inside though the count varies depending upon who you ask, 2, 3, or 4. 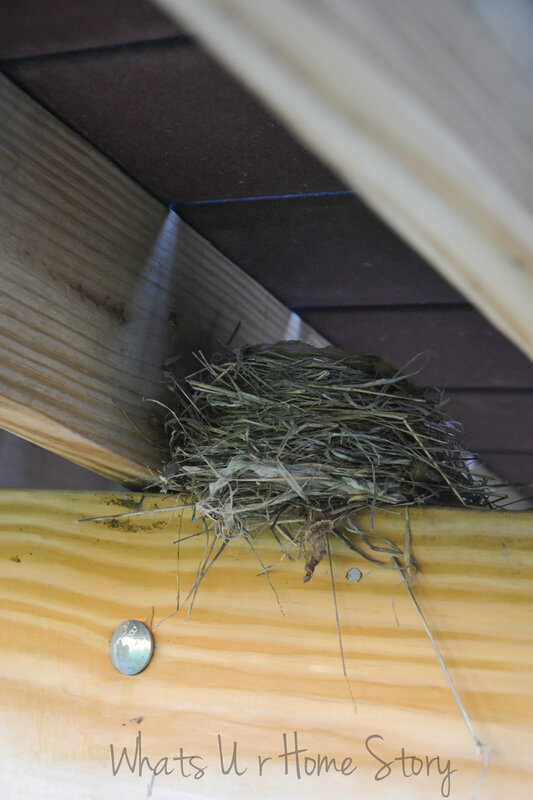 This time around we didn’t want to touch the nest to check on it but were trying to take a peek through the cracks between the deck planks. Sure enough they do look this (pic from last year). Is it Spring in your garden? 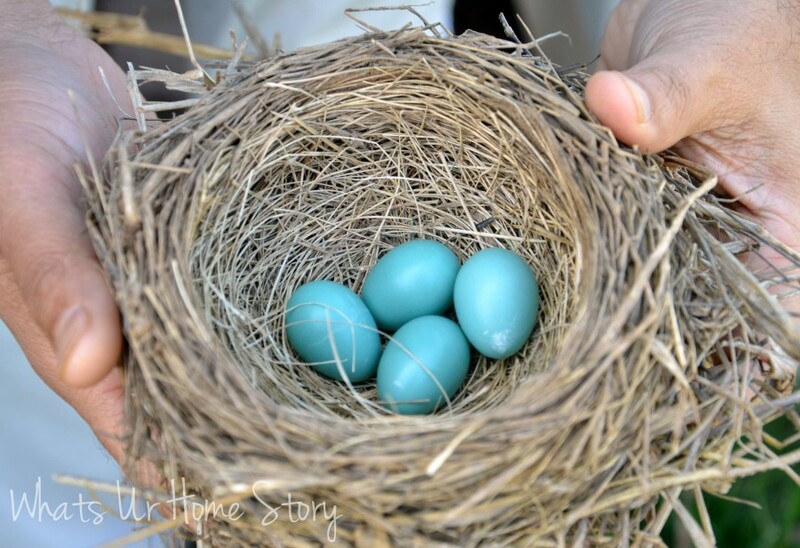 Do you have robins/ bunnies in your yard?